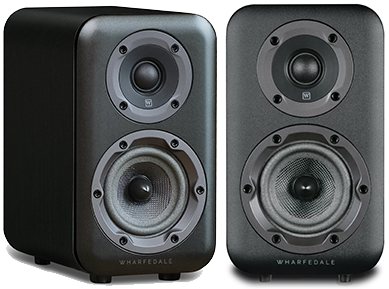 Wharfedale D320 is the larger stand-mount speaker in the D300 series, sitting above the entry-level D310 speakers and below the flagship D330 floor standing model. This range exceeds conceptions of how good a ‘budget’ speaker range can be. 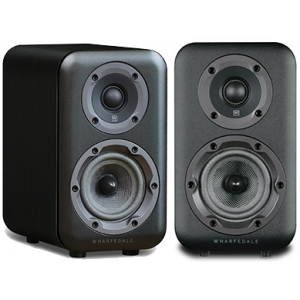 Wharfedale created the blueprint for modern ‘budget’ hi-fi speakers in the 1980s with the first-ever Diamond – the classic entry point to high-fidelity sound. Developed from the Slot-Loaded Distributed Port found in the Diamond 11 Series, the D300 Series’ P-EQ (Pressure Equalisation) port system is critical to the speakers’ deep and controlled bass performance. Low bass frequencies emitted from the rear surface of the bass driver travel through a downward-firing port in the base of the speaker, with precisely curved openings to smooth airflow. These frequencies exit into the room omnidirectionally through a gap between the cabinet and the surface on which it rests formed by four ‘feet’ attached to the speaker’s base.